Tender, smoky, and juicy—and even a spread that's encapsulates all this flavor! 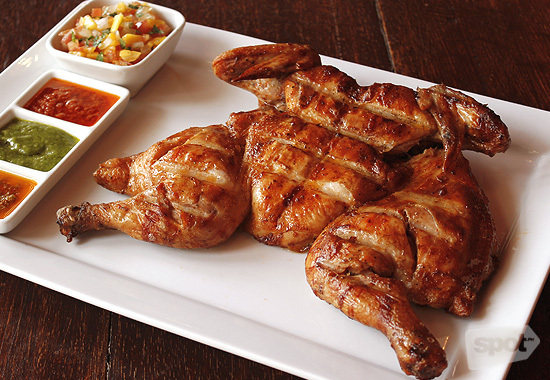 (SPOT.ph) There’s something about the savory, smoky flavor of flame-cooked chicken that makes us crave for it when we’re looking for comfort food. Whether grilled or roasted, one thing’s for sure: this classic Pinoy dish will always remind you of home and of happy, worry-free days. These are our favorite chicken barbecue dishes right now, one of which is a sandwich that tastes just as good as the real thing! 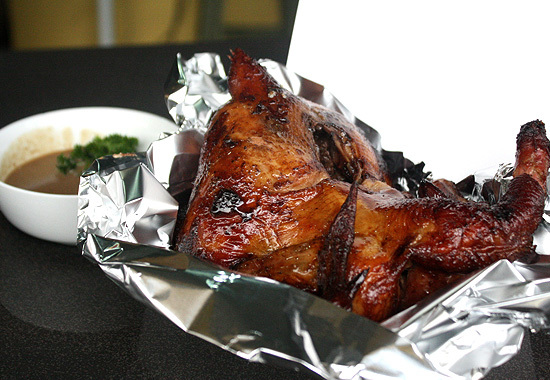 People have been flocking to JT’s Manukan Grille for years now even without the endorsement of owner Joel Torre, and it’s all because of their tangy chicken inasal. A welcome hint of ginger can be detected in every bite of their pecho, and it’s perfectly complimented by their garlicky rice. 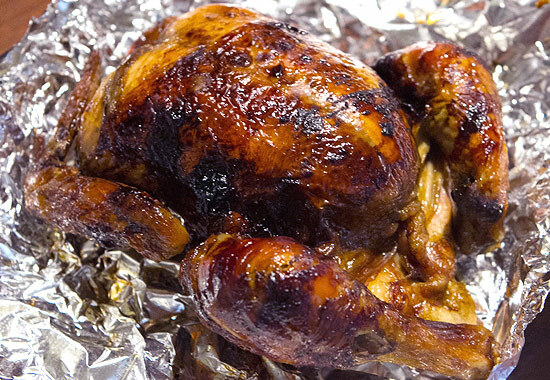 Pinoys take their chicken very seriously, and Señor Pollo’s dedication to meet its discerning diners’ expectations are evident in every bite of their roast chicken. They keep their chicken in the rotisserie for over an hour, ensuring that it’s cooked thoroughly without compromising its moisture. The result? 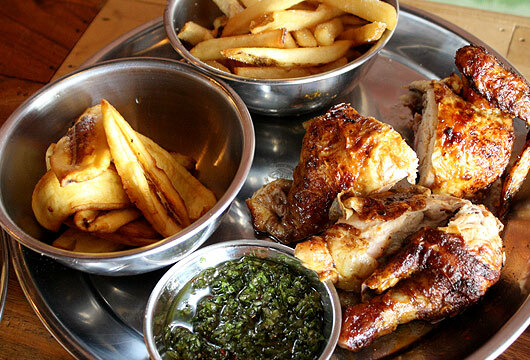 Unbelievably juicy chicken with a light smoky flavor that’s complimented perfectly by their chimichurri and garlic sauces. If you're looking to satisfy your chicken barbecue craving at home, we highly recommend making your own chicken barbecue sandwich! The secret lies in Lady’s Choice Chicken BBQ Spread, which has real chicken barbecue bits and a rich blend of spices, giving you savory barbecue flavor goodness in every bite. Simply spread it as is for a quick and easy snacktime fix, or add chicken barbecue pieces to amplify the flavor. Click here for the complete recipe! Trust us when we say we’d have this every day if only its one branch weren’t located in the underbelly of Mandaluyong. The chicken here is prepped for three days, resulting in an intense flavor profile that manages to be tangy, savory, spicy and sweet all at once. Mark our words: This incredibly juicy hunk of poultry is a masterpiece all chicken lovers should taste at least once in their lives. 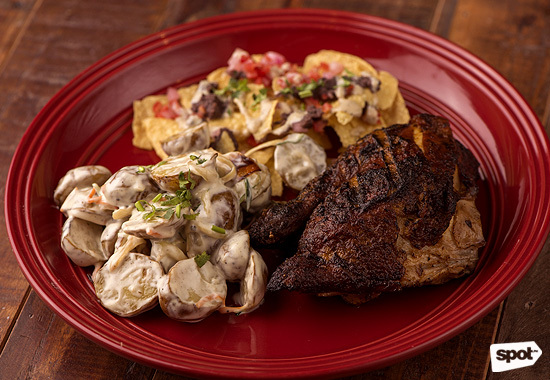 Embrace your love for chicken skin at Gringo, which bakes their fowls before grilling them, giving them a deep brown hue and a delightful texture other chicken houses can only dream of achieving. And it doesn’t stop at the skin: Each forkful of the meat is bursting with zesty flavor, making you want to abandon your utensils and dig in with your hands. You probably wouldn’t guess it from their interiors, but Relish dishes up a lean, mean roast chicken. Their roast’s perfectly seasoned, fall-off-the-bone meat goes perfectly with their herbed rice, aioli, and chicken drippings, making for a meal you’ll never want to end. Fuego Amigo’s Peri-Peri Chicken proves that the best things in life aren’t necessarily the most elaborate. Their hefty chicken breasts, which come seasoned with just a dab of tomato paste, are accompanied by a dangerously spicy chili pepper sauce you can dab on according to your heat tolerance. It’s definitely a must-visit for those who like their chicken flavor-packed. 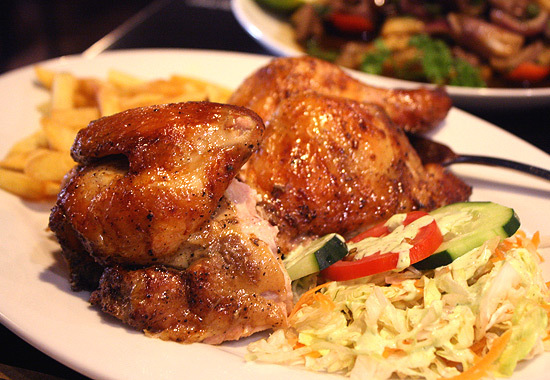 Don Andres’ signature dish is the epitome of Peruvian chicken perfection, with its glossy, tasty skin and juicy, flavorful meat. Their secret? A blend of herbs and spices that penetrate down to the bone, resulting in an unforgettable roast. 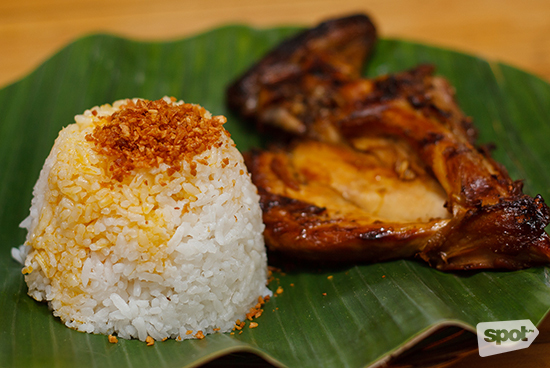 Sr. Pedro holds the distinction of dishing up the bestselling lechon manok in the Visayas and the Mindanao regions, and one bite of their juicy chicken reveals why. 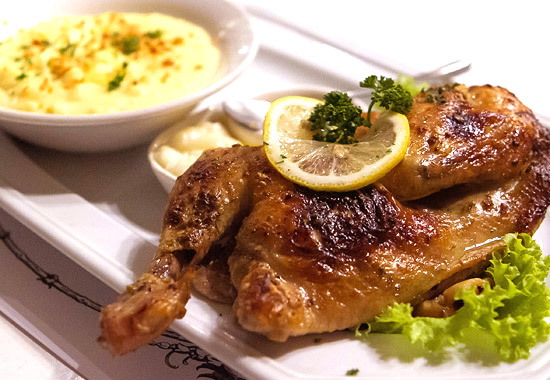 Its smoky lemongrass flavor is distinctly Pinoy, making it stand out even in Metro Manila, where there’s a lechon manok stall on every other street. Eat it with lots of rice and their toyomansi! When a restaurant has a grill especially built to ensure their chicken comes out from their kitchen perfectly cooked, you know your tastebuds are in for a treat. And not only are their chicken delightfully tender: They’re also seasoned with a total of 14 spices, guaranteeing top-notch flavor with every bite and rendering the accompanying sauce (also delicious) virtually unnecessary. 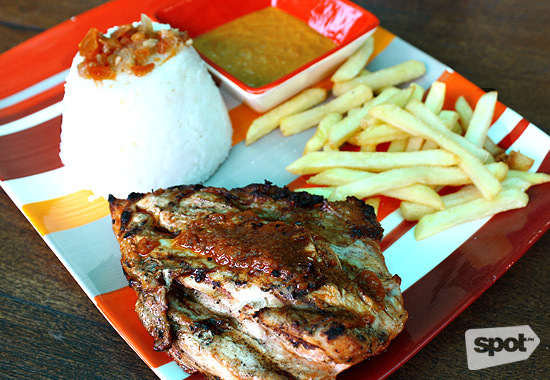 You won't be without options for a great chicken barbeque dish after checking out this list. But remember: only one entry on here can be made any time and anywhere. 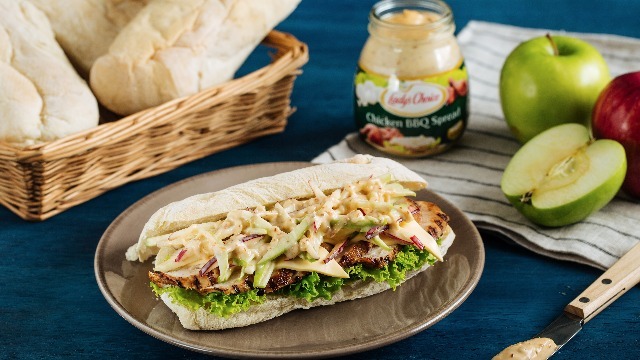 To quickly and conveniently satisfy your chciken barbecue fix, make sure to keep a bottle of Lady's Choice Chicken Barbecue Spread handy in your kitchen. Get chicken barbecue goodness in every savory bite! Follow Lady's Choice Philippines on Facebook and visit www.ladyschoice.com.ph to know more.